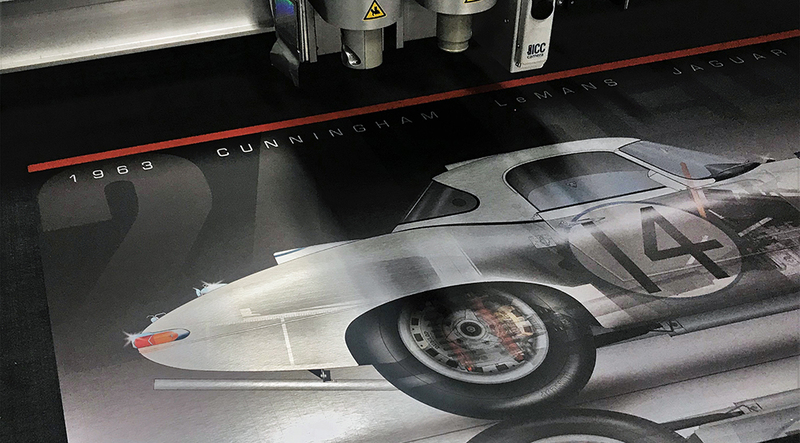 When you own some of the most powerful and versatile printing equipment in the industry, opportunities open to new ventures you might never have dreamed of in the beginning. 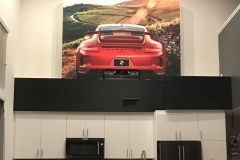 One of the most exciting and rewarding experiences at Global Imaging is to set people up with equipment that meets their printing needs, but also leaves room for expanding into new opportunities. 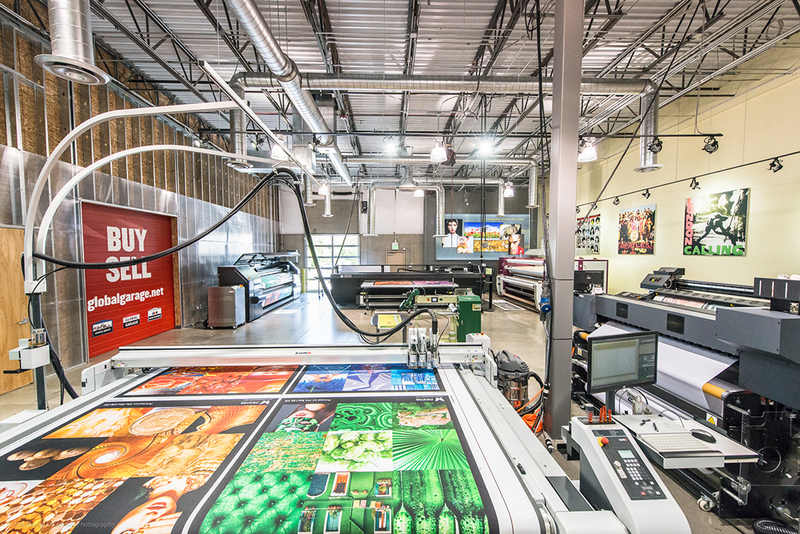 We love hearing the success stories from our print partners and want to share one of these special journeys with you in this customer spotlight. 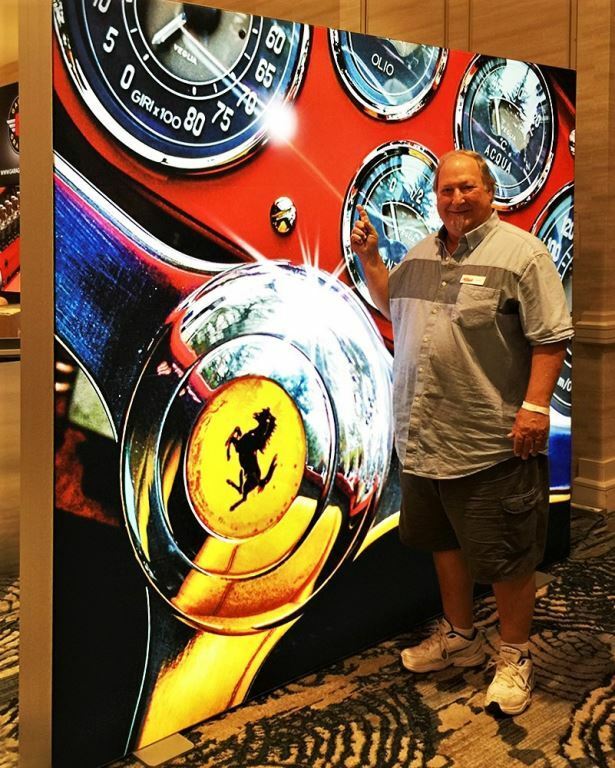 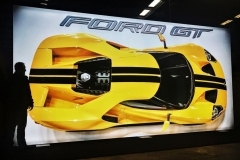 As a third generation “car guy,” Doug Buchanan had been dreaming for years of combining his business of large-scale graphics with his love of cars. 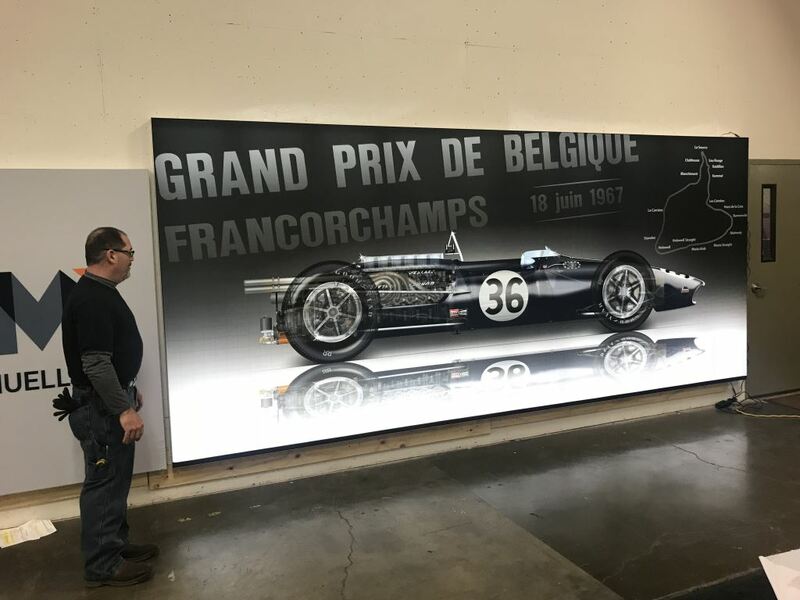 Doug’s grandfather, Maynard Buchanan, purchased Renze Display in 1935, and the now 123-year-old exhibit and display company has been run by the family ever since. 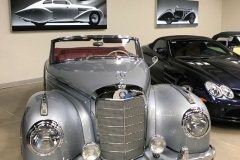 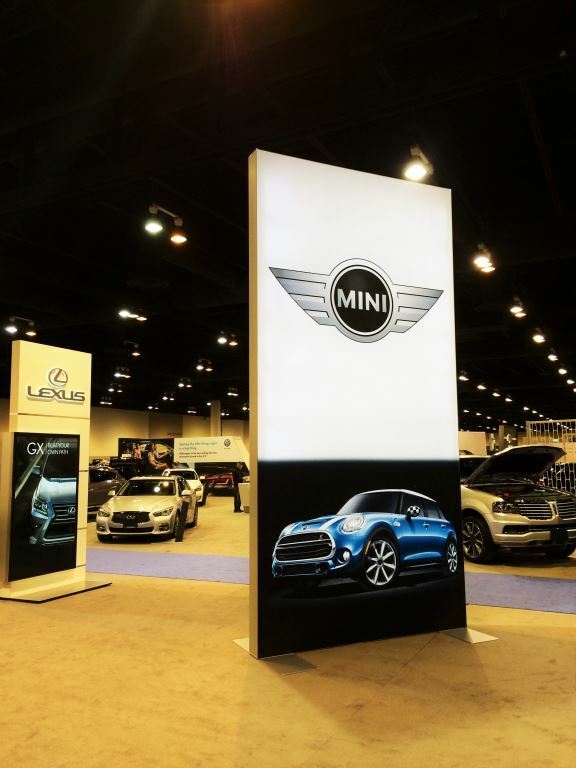 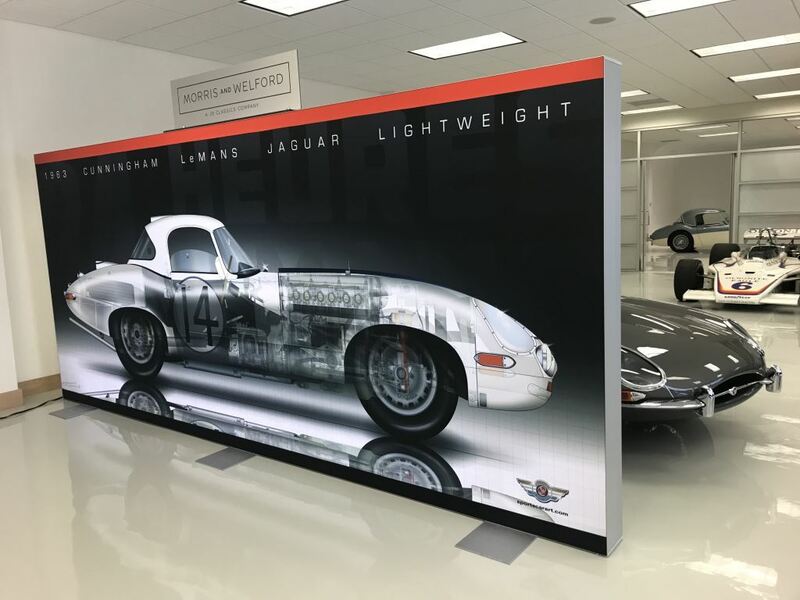 Doug used the foundation in place for Renze to create the off-shoot company Garage Graphics, dedicated to his passion for creating automotive displays. 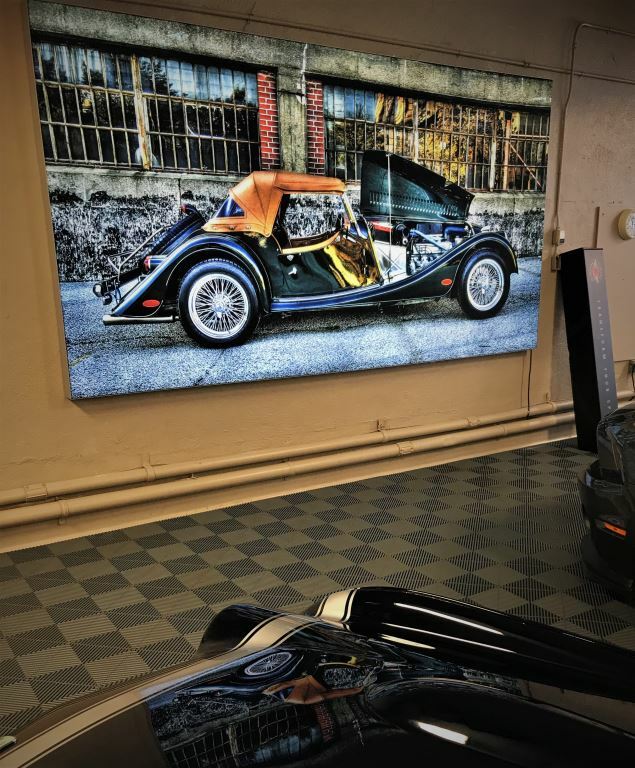 In the beginning Garage Graphics serviced clientele interested in high-end prints of their own vehicles. 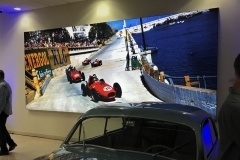 Unfortunately, the images he was being sent were often not high enough resolution to create large-scale pieces. 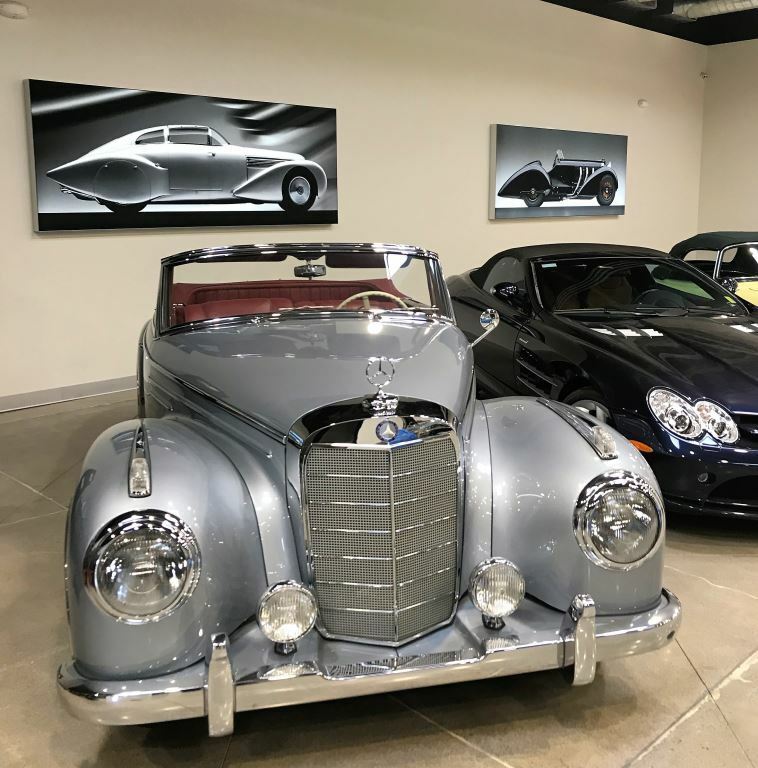 Doug reached out to several well-known car photographers, including Pete Lyons and Michael Keyser, and was excited to find eager collaborators. 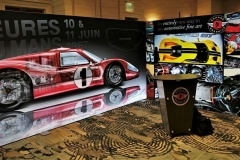 The quality of his displays earned him a reputation that allowed him to continue partnering with some of the most talented automotive photographers and illustrators working today. 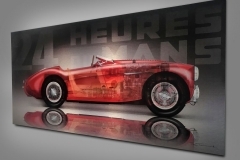 One of the more notable associations was with Michael Furman, who has 25 photography books and calendars on Amazon.com. 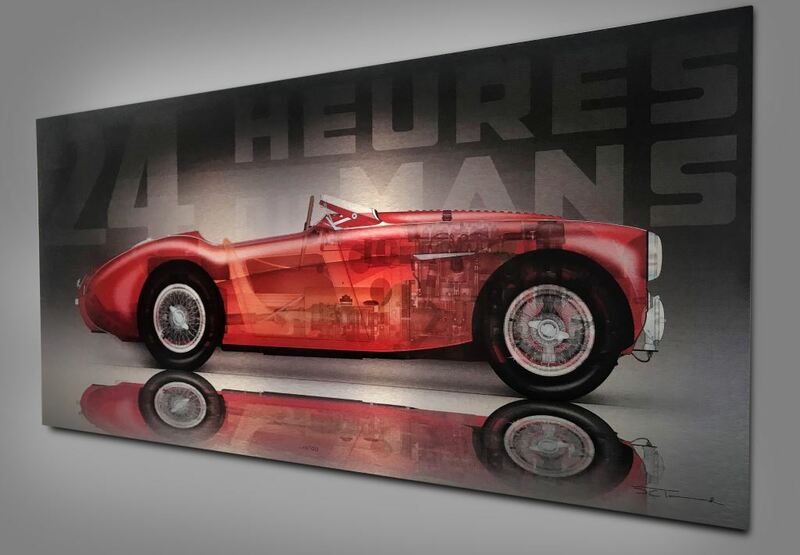 By utilizing the PrinterEvolution Eos126, purchased from Global Imaging for Renze Display, Doug was able to produce stunning prints as large as 10 feet by 40 feet, beautifully showcasing the high-end photography. 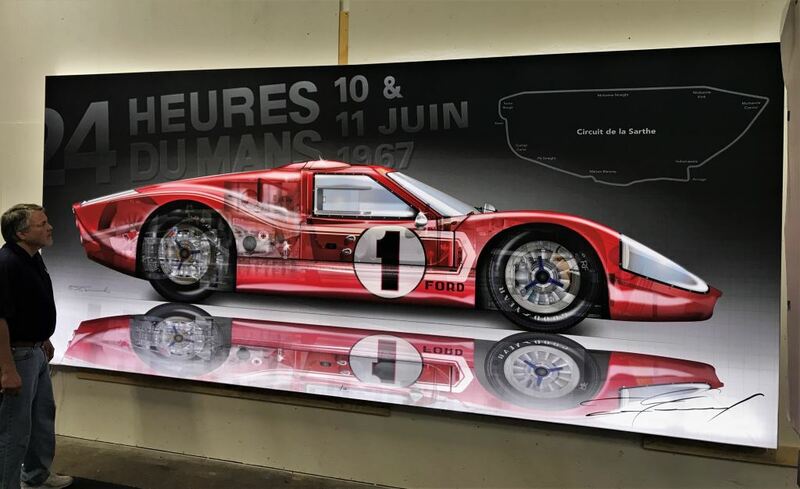 When Doug started collaborating with vector artist David Townsend, the vision for the already successful Garage Graphics took a magical turn. 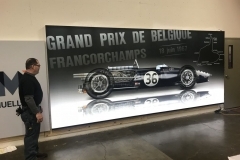 David Townsend had created an illustration of the Eagle Weslake, the car the late legendary American driver Dan Gurney drove to the win in the 1967 Belgian Grand Prix. 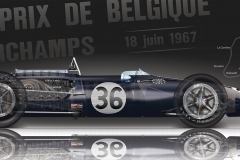 At the time of the creation, Dan Gurney was still alive, and Doug reached out to the family to send him the print. 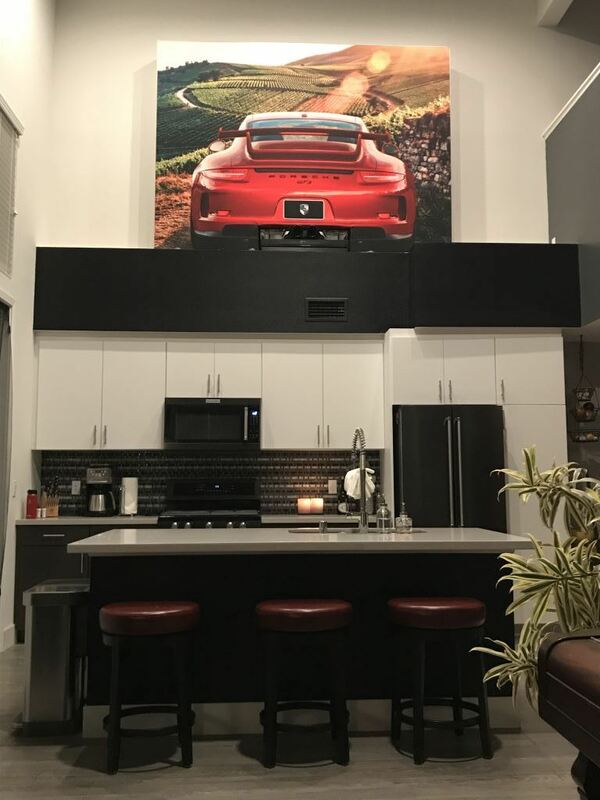 Dan and his wife loved it so much they commissioned a life-size print, which was created with fabric and framed with REXframe extrusions. 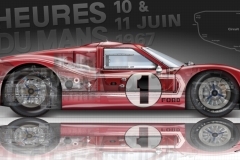 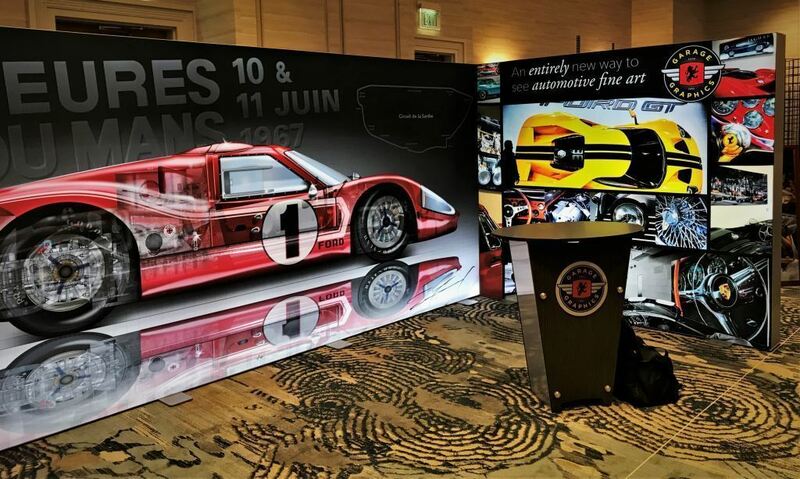 Following Dan’s passing, Gurney’s family extended the rights to David Townsend to illustrate and Doug to print and sell 10 signed images of Dan’s Ford-GT40 as an 8’x16’ fabric framed piece. 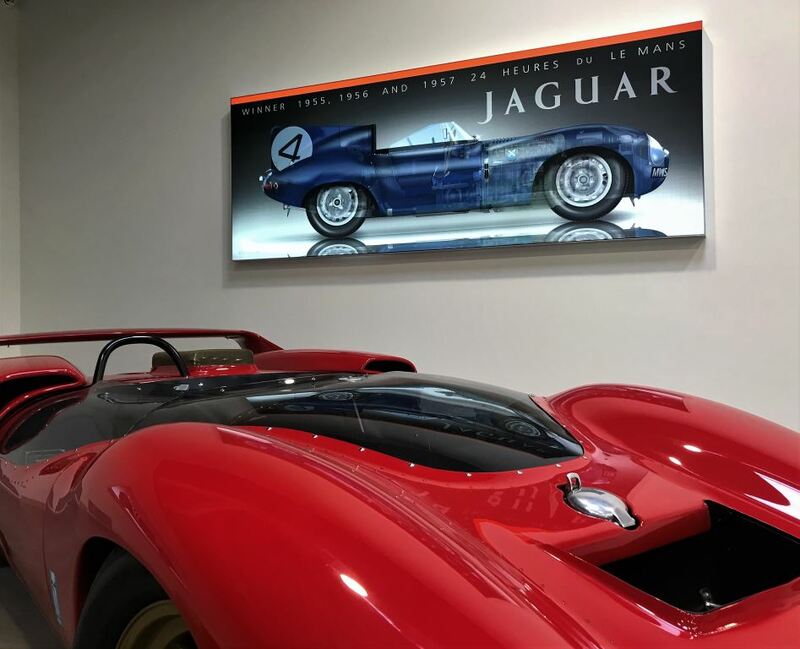 Read more about this incredible project on Doug’s blog. 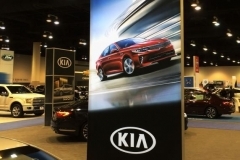 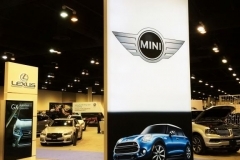 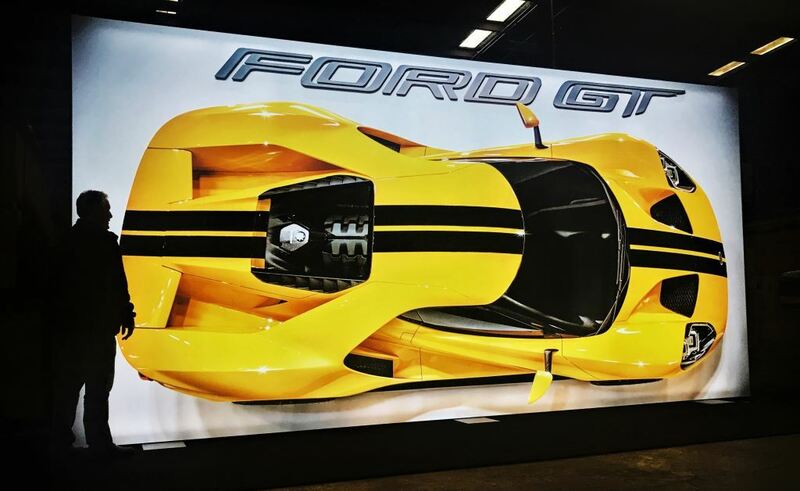 The stunning effect of these super-sized car graphics turned heads of car aficionados and the buzz is catching on. 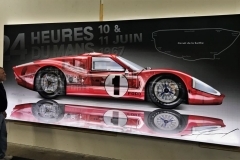 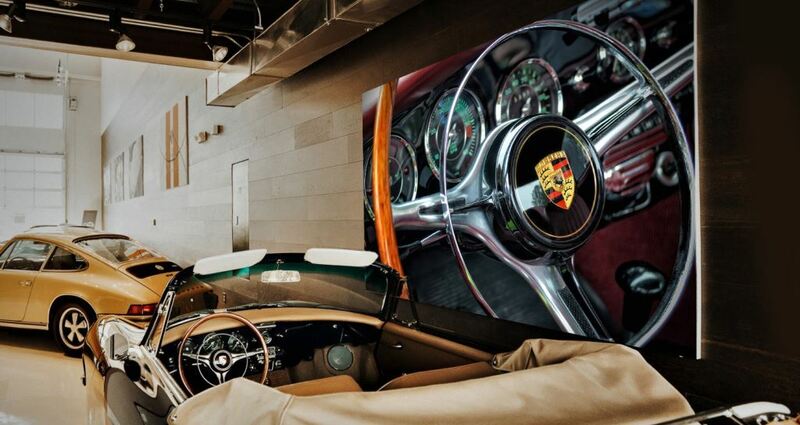 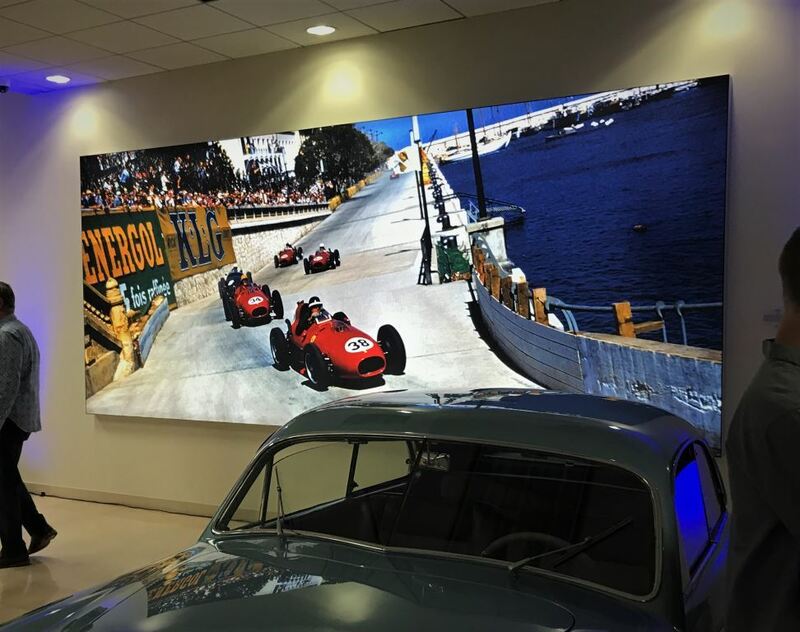 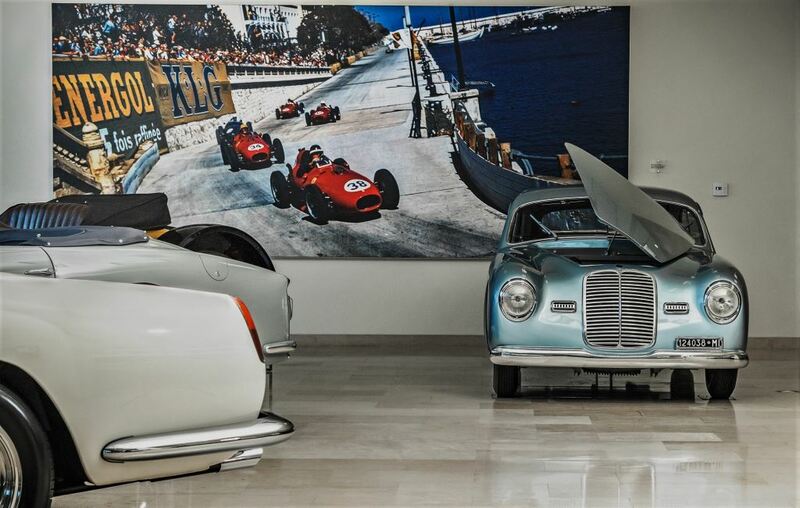 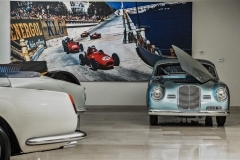 Garage Graphics now provides prints for private collectors, car enthusiasts, museums, showrooms, events and car shows. 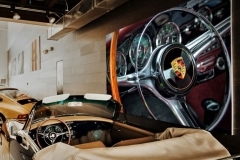 The pieces are offered in three shippable sizes of brushed aluminum, or SEG framed front or backlit fabric of any size. 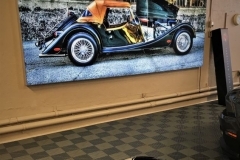 Museums especially love the framing system of the fabric prints that can be used as free-standing walls, easily moved as needed, with interchangeable graphics for different exhibits. 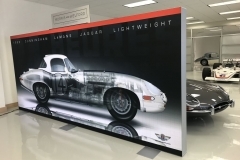 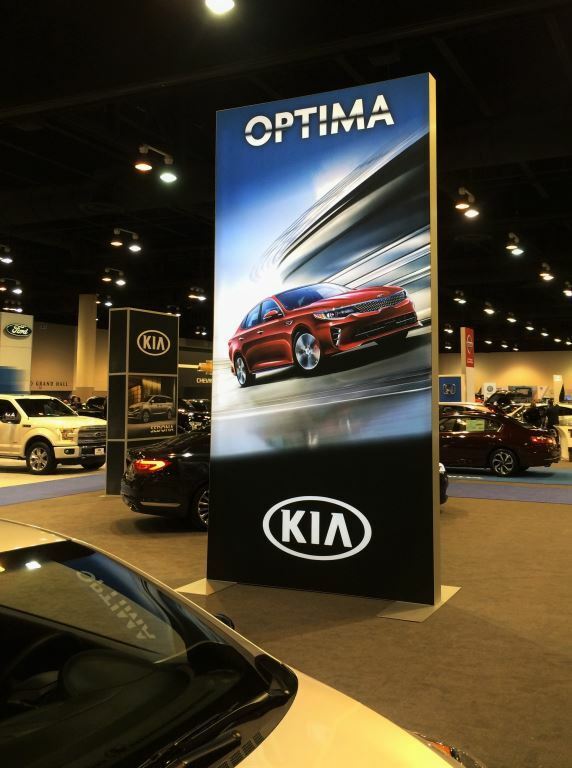 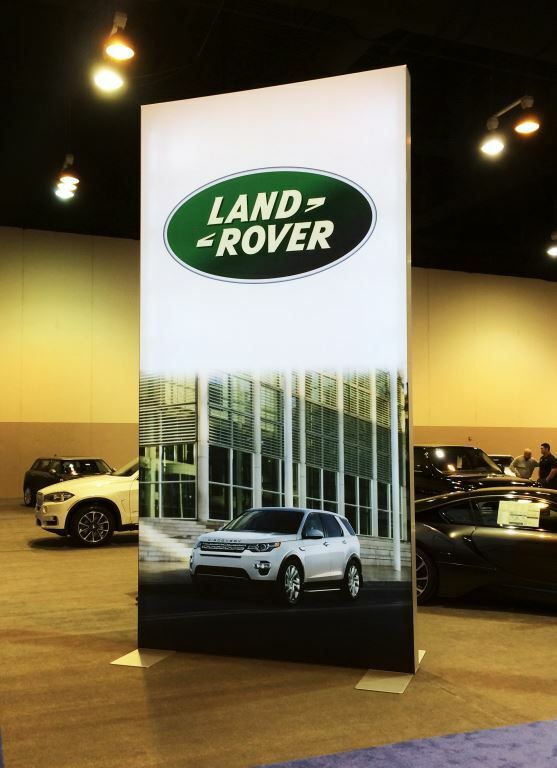 The most popular size for fabric prints is 10 feet tall, creating show stopping life-size displays. 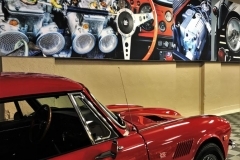 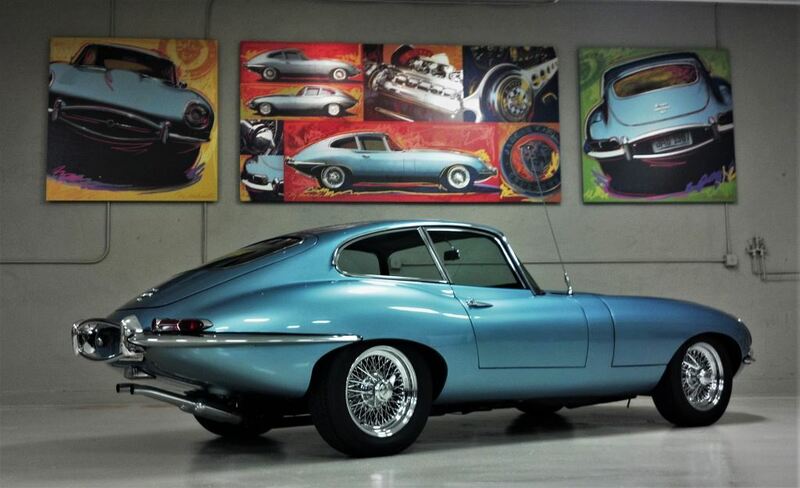 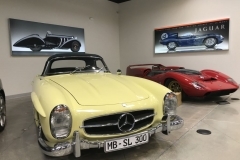 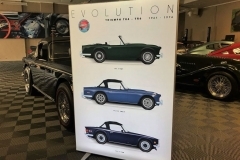 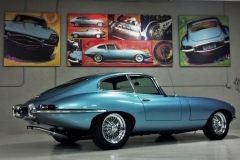 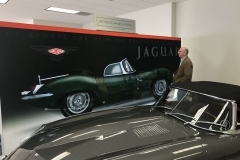 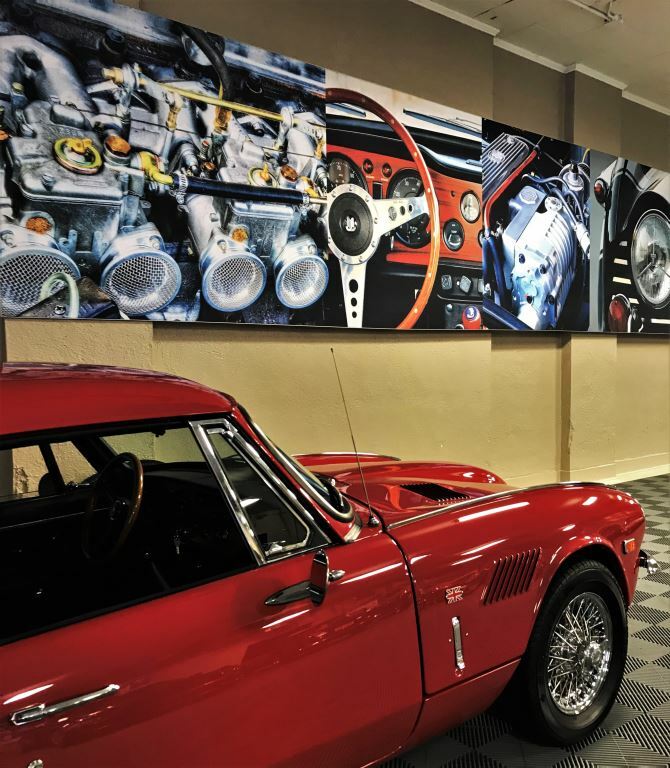 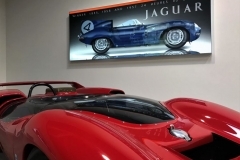 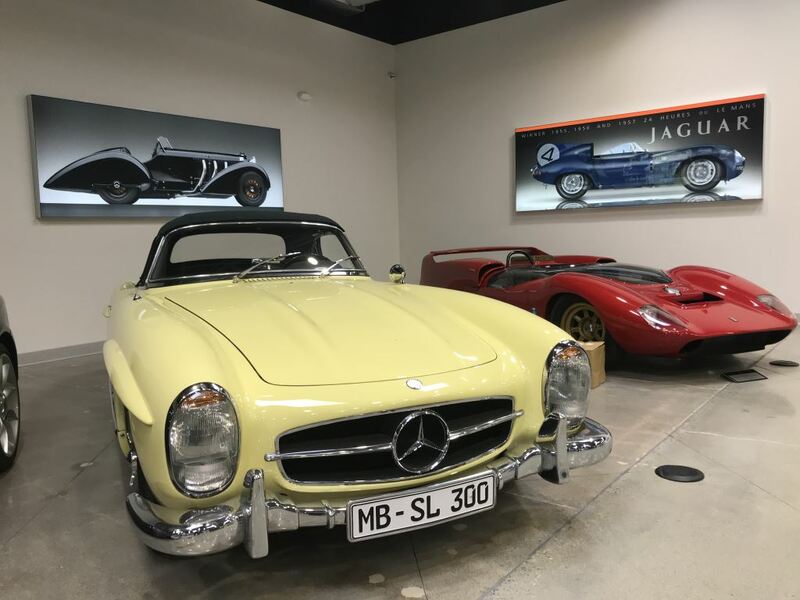 Even Doug couldn’t resist becoming his own customer, decorating his garage with graphics of his vehicle collection, including a 1967 completely original Jaguar E Type. 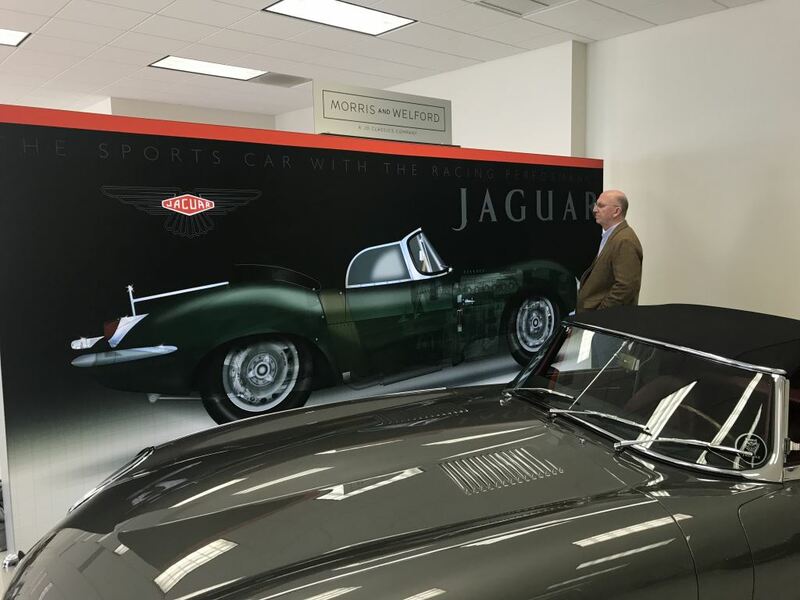 Doug plans to continue building on both the success of Garage Graphics and Renze Display, the perfect combination of his passions. 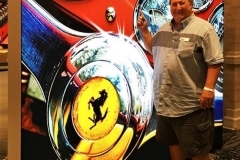 He hopes to get to a point where he can add a permanent second shift at Renze and eliminate the long days that happen during peaks. 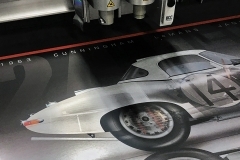 With the right combination of curated printing equipment, your imagination is the limit on what you can achieve. 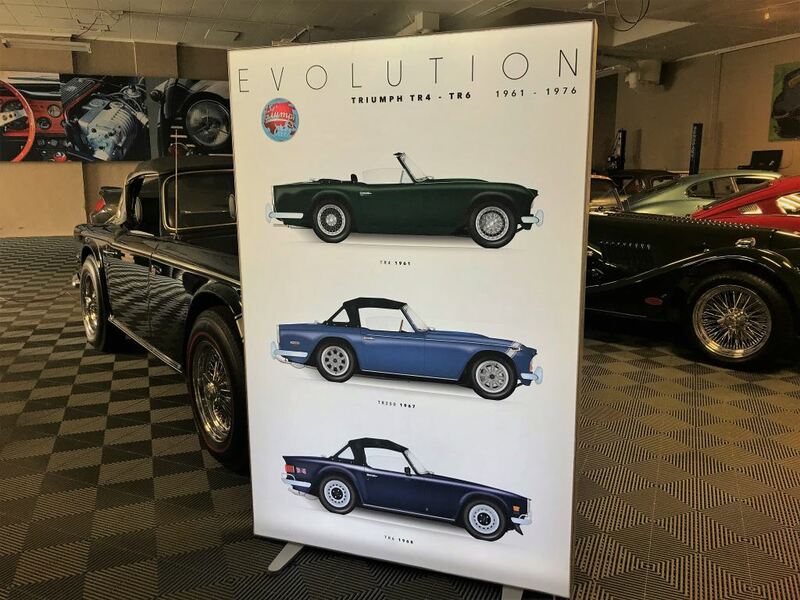 The results speak for themselves. 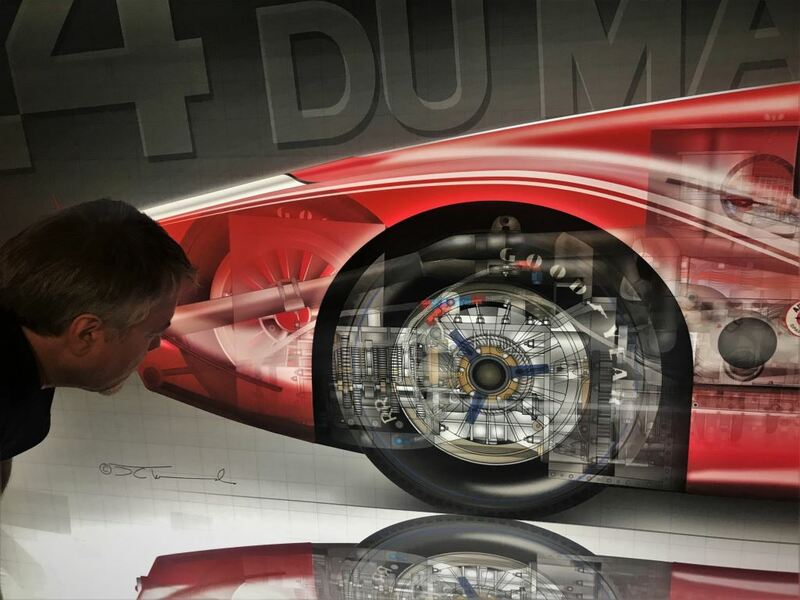 Visit the Garage Graphics website to see more of this incredible work. 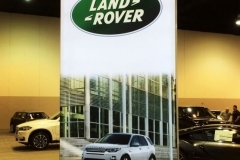 Then contact Global Imaging to find out where your equipment can take you.